Marc runs the nursery and is our designer. He has 30+ years of experience in the landscape construction industry and is retired from one of Central Florida’s largest landscape construction firms. His portfolio includes theme park projects, education facilities, state and municipal projects, restoration plantings, hotels, streetscapes and specialty home projects. With years of experience in management, Marc has the ability to resolve problems and to bring the project from concept to final design intent. 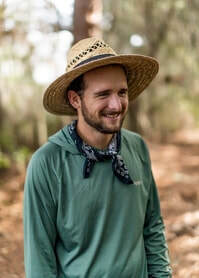 Marc is a horticulturalist and has been a member of the Florida Native Plant Society (FNPS) for many years and a volunteer with The Nature Conservancy on rare plant surveys. He was awarded the 2016 FNPS Landscape Design Award for Excellence for his concept in residential landscape design for Steve and Susan Turnipseed in The Villages. Marc’s philosophy is to use native plants as the foundation of all landscapes and to garden with appropriate non-invasive exotics. Nick is the nursery manager. He was born and raised in the northwest suburbs of Chicago. Most of his youth was spent outdoors: exploring, fishing, and swimming. After he graduated from Michigan State University, he worked as a restoration technician in ecological restoration. This furthered his understanding of the value of native plants in natural areas and landscape. In 2014, Nick moved to Florida and was hired by Green Isle Gardens. He continues to spend time outdoors, learning about Florida's native flora and fauna, with a particular interest in edible native plants. Kirsten is our design specialist and works closely with clients to design "habitat havens" for both people and wildlife to enjoy. She was born and raised in Johannesburg, South Africa, where her love of plants began in her family's large gardens which contained fruit & nut trees and many flower beds. 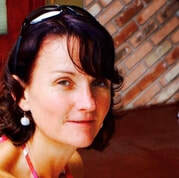 She has lived in many locations around the world, gardening in various climates with a variety of plant species. Kirsten finished her degree in Horticulture this year with a specialization in landscape design. She will be glad to help you create your own habitat haven. 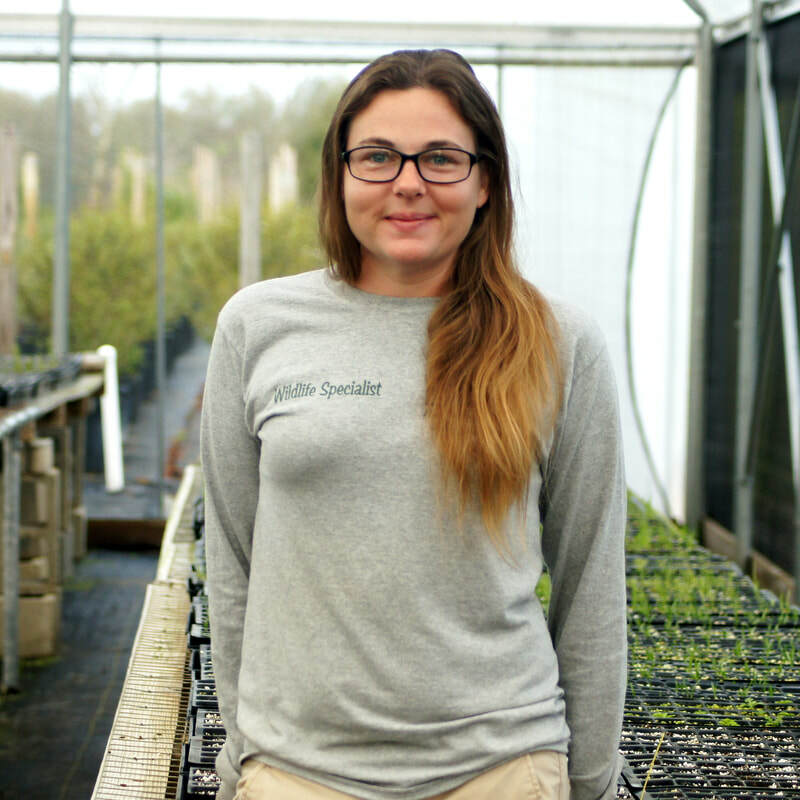 April is the greenhouse manager and oversees the propagation and production of our native plants. Her childhood was spent fishing, hiking, and exploring the deciduous hardwood and evergreen forests of the Midwest - instilling her with a love of nature from an early age. Since moving to Florida she has become an active member of the Florida Native Plant Society and is now serving as the co-vice president of the Lake Beautyberry Chapter. Her free time is spent caring for and researching native plants, hiking, and taking care of her daughters.